For centuries, mankind has lived in sheer terror of the Titans, gigantic humanoid like creatures that mindlessly feast on humans. Much of humanity has been devoured by these strange and terrifying creatures, and giant cities with massive walls were built to protect themselves from this threat.For awhile, it seemed like life in the city walls would remain forever safe, until one day a Titan big enough to smash the wall brings peace to a screeching halt. 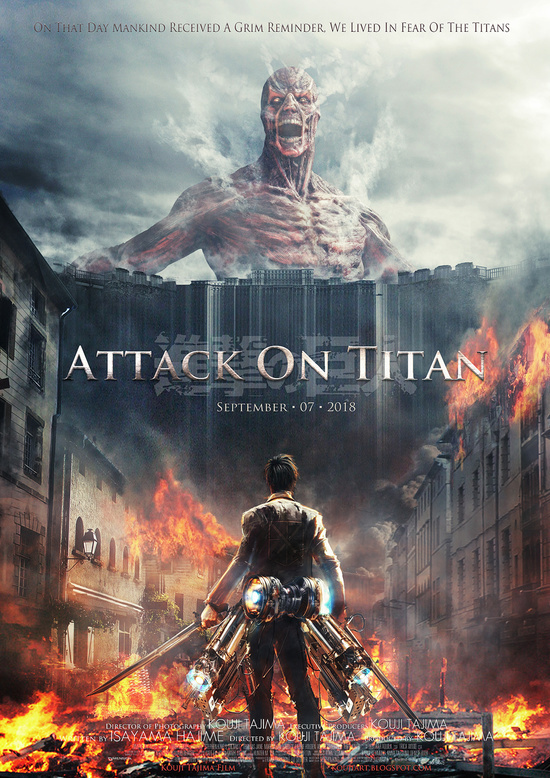 Attack on Titan focuses on Eren Yeager, a boy who vows revenge on the Titans after losing his mother in the last attack. He joins the Survey Corps (an army of soldiers trained to fight Titans outside the city walls) with his childhood friends Mikasa Ackerman and Armin Arlert. Together, they go into a battle where they encounter near-impossible odds. What are the Titans? And will humanity ever be safe from this mysterious and deadly threat?